If you’re looking for unusual places to stay in Edinburgh you won’t be disappointed. Whether it’s city centre, farmhouse style or even a wonderful inn on the side of a beautiful canal, the city has it all. 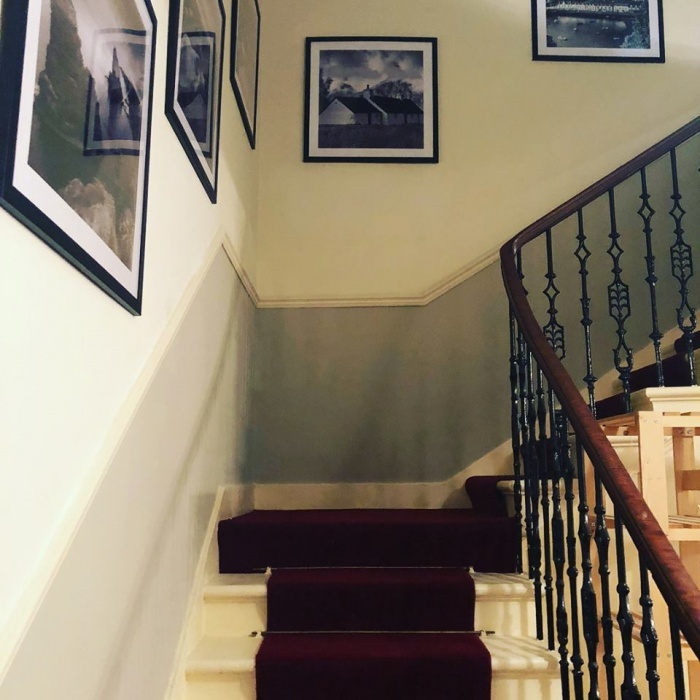 Situated in the historic New Town area of Edinburgh, this grand Georgian property has recently been sympathetically renovated to create a welcoming home from home for families and large groups of up to fourteen guests. Whilst maintaining many of its period features, the neutral décor adds a contemporary feel and more than a hint of luxury is brought with crisp linens, an indoor Jacuzzi bath and a private chef (subject to availability). The property is a short walk from the attractions of the City Centre and the bohemian Stockbridge area, with a plethora of restaurants, shops, pubs and a Sunday market. 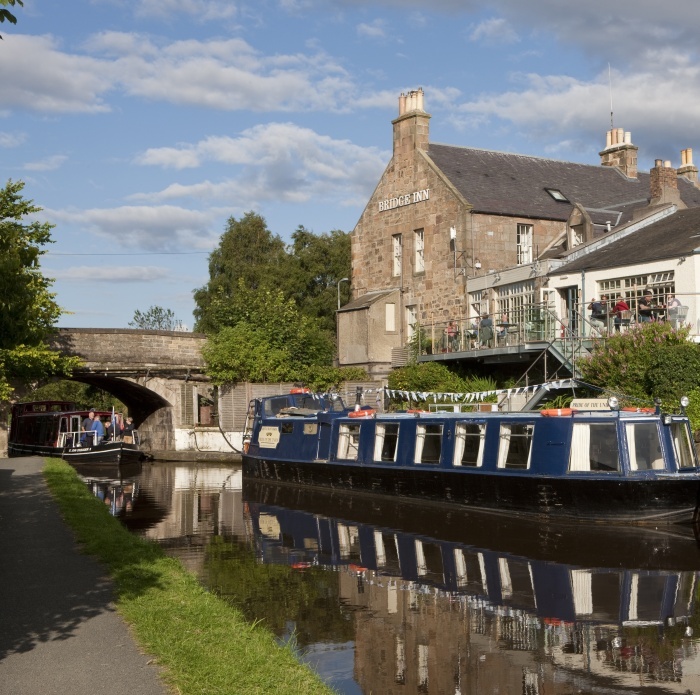 Situated on the banks of the Union canal just 20 minutes from the city centre, The Bridge Inn at Ratho is a haven of tranquillity with award winning gastro-pub food style dining. Unusual places to stay in Edinburgh don’t come much more idyllic. Originally a farmhouse dating back to the mid-18th century, the venue has four bedrooms with views overlooking the canal, simply decorated in period style with either an en-suite shower or bathroom. 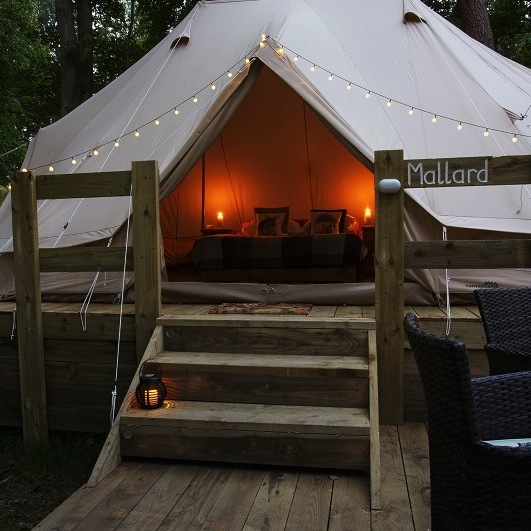 Within the magnificent grounds of Dundas Castle and only 15 minutes from Edinburgh Airport, the Glampotel combines luxury accommodation with outdoor living. The 5 star canvas cottages are beautifully romantic and offer 5 star accommodation, with Egyptian cotton linens, wooden flooring and en-suite bathrooms with hot running showers. Any list of unusual places to stay in Edinburgh wouldn’t be complete without this floating haven. 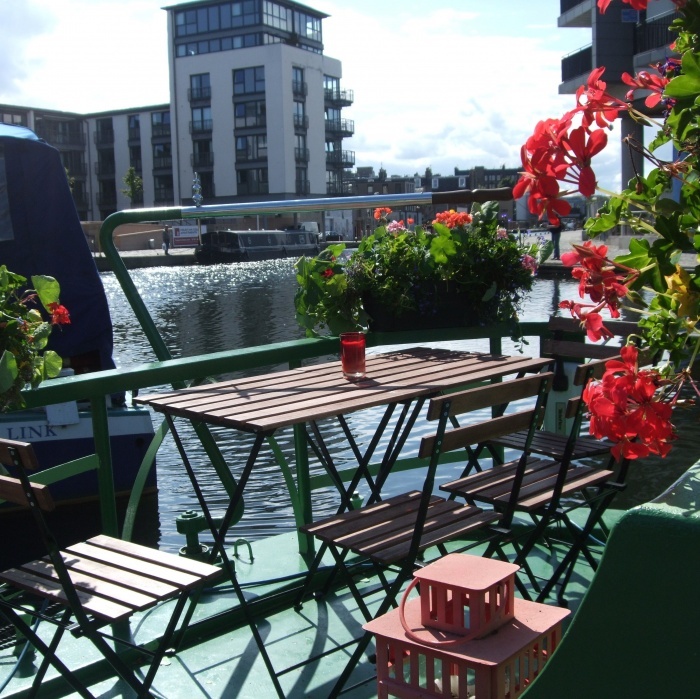 Close to the city centre, the Four Sisters Boatel is a purpose built static houseboat, which sleeps up to 6 guests with the convenience of a small supermarket and Italian restaurant (Zizzi) practically on the doorstep. As you’d expect the accommodation is a little cramped, but the lack of space is made up for by the cosiness inside and feeling of space as soon as you pop your head through the hatch. Steeped in history, The Castle Snug is nestled in a quiet courtyard a stone’s throw from the hustle and bustle of The Royal Mile and Edinburgh Castle. 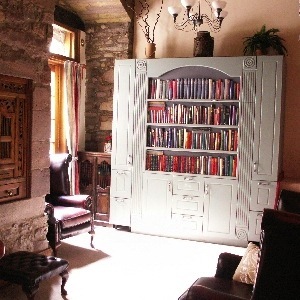 Snug is an appropriate name as the venue has one bed pulling out of the library bookcase and another on a mezzanine level, offering accommodation for a total of four. 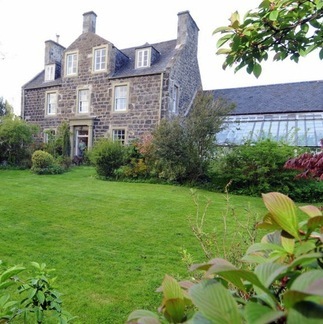 Near the foot of The Royal Mile with views over Holyrood Park and Arthur’s Seat, Holyrood Farmhouse, built in the 18th century, is a charming stone-built self-catering house with accommodation for up 16 guests over 7 rooms. The bedrooms are traditionally furnished and cosy, the kitchen is well-equipped. The secluded walled garden is ideal for evening drinks in the summer and visitors during the winter months will enjoy snuggling in front of the log burning stove.